Partners Marc L. Breakstone, David W. White and Ronald E. Gluck were selected for inclusion to the Massachusetts Super Lawyers for 2013 list. Associate Samuel A. Segal was also selected to Massachusetts Super Lawyers Rising Stars for 2013. The honors are printed in a supplement of November's edition of Boston Magazine. 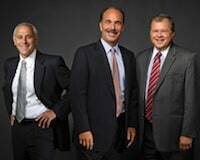 Breakstone, White & Gluck's lawyers have been recognized by Super Lawyers for 10 years, first in 2004. Super Lawyers is a publication of Thomson Reuters. It recognizes 5 percent of lawyers in each state. Rising Stars recognizes 2.5 percent of lawyers under age 40 or who have practiced 10 years or fewer. Have You Changed Your Smoke Alarm Batteries? Daylight Saving Time recently ended. If you have not already done so, make sure you change the batteries in your smoke alarms and carbon monoxide (CO) detector. Remind others in your family to do the same at their homes. Smoke alarms save lives - but only when they are working. According to the National Fire Protection Association (NFPA), three out of five home fire deaths in 2007-2011 happened in properties without working smoke alarms. You can protect yourself by changing your smoke alarm batteries once a year and by testing smoke alarm batteries once a month. There are other steps which are also important to take to protect your home and family for winter. As we increase use of heating appliances and cook winter meals, there becomes a greater risk for fire. The months of January, February and March see the most residential building fires each year, according to the U.S. Fire Administration. By taking some time now to look around your home, talk to your family and prepare, you can reduce the chance for fire and injury in your home this winter. - Have your chimney and fireplace professionally cleaned. - Have your furnace checked by a qualified professional. - Move your BBQ to a safe storage area for the winter. Do not use it to cook in that place; only turn it on outside. - If you plan to use an electric space heater, inspect it and make sure it is fit for operation. Replace it if you see any cracks in the appliance or tears in the cord. - Find a place in your home where you can safely use your space heater this winter. Make sure you keep children away from it and that is at least three feet away from all combustible materials, such as bedding and clothing. Avoid using extension cords. - Inspect your home's windows to make sure they fully close and will not cause your home to lose heat. Breakstone, White & Gluck Donates 175 Childrens' Helmets to Somerville Bike Safety Day. Read here. Court Ruling on MedPay Auto Insurance Coverage Favorable to Massachusetts Drivers. Read here. Filmmaker Explores Painful Consequences of Texting While Driving. Read here. Massachusetts Texting While Driving Ban: 3 Years in October. Read here. Receive our blogs on Facebook. Visit www.facebook.com/bwglaw. Breakstone, White & Gluck is a Boston personal injury and medical malpractice law firm. We represent injured clients throughout the state, including in Cambridge, Somerville, Arlington, Lexington, Framingham, Worcester, Brockton, Plymouth and Cape Cod. To learn more, visit www.bwglaw.com.